Yes, there are sensible folk here in Indonesia, and a lot of them live on the Isle of the Gods, Bali, where I’ve gone for a break almost every year since i came to this fine country. 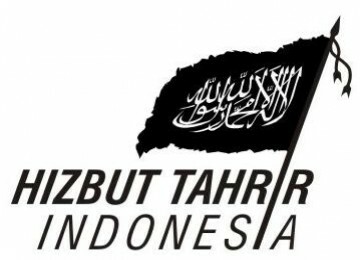 The story on that interesting Bali website I often use concerns the latest demented outburst from the Jew-hating fanatics of the Hizbut Tahrir. I quote – Accusing the contest of “selling women’s bodies” the Hizb ut-Tahrir Group is vowing to hold demonstrations against the contest. Such idiotic intolerance – just what this lovely above had to face when she visited West Java a year or two ago. The pig-ignorant Islamists there didn’t appreciate her feminine charms – do any readers reckon she’d look better as a bag-head? Disgusted Balinese might well teach the sectarian freakos a hard lesson in tolerance. Hard-line Islamist groups seemingly find any public celebration of female beauty as offensive and immoral and are saying they will settle for nothing less than the cancellation of the event. The Islamic Reformist Movement (Garis), which is affiliated with the notorious Islamic Defenders Front (FPI) who have been involved in a number of violent street protests in the past, says a ban on bikinis is insufficient. Multi-purpose haters, these swine. Yeah, and like all true nazis, they hate Jews too! He must be a real sicko. What on earth is offensive or immoral about these pretty English contestants? Here’s the one I meant! Mind you, England has changed a lot since I lived there, so who knows? ← At Last, Proper Shopping at Pluit Village – June 14th!